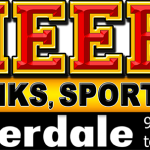 Cheers is located at: 941 E. Cypress Creek Rd. 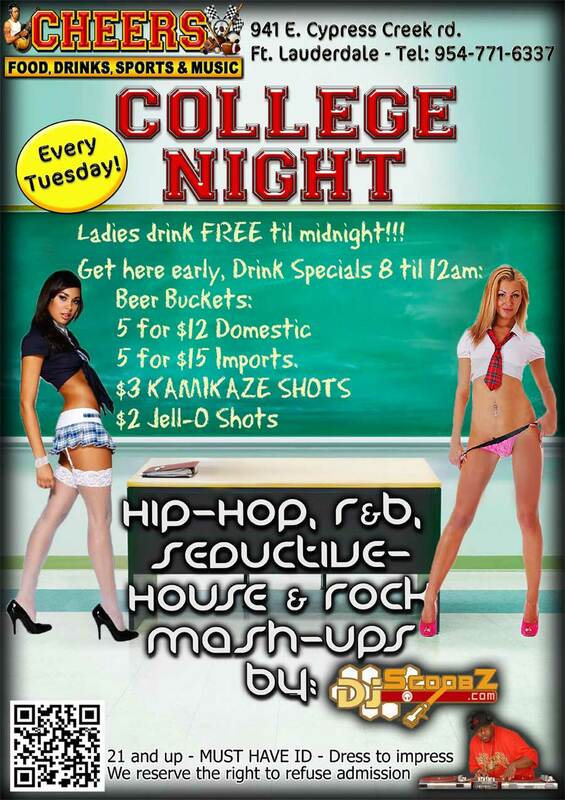 WE’VE GOT SOMETHING COOL GOING ON EVERY NIGHT! OPEN MIC with Special Guest Hosts each week! 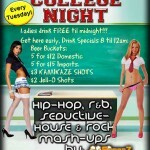 Ladies Night: Girls Drink FREE 8PM-12AM! 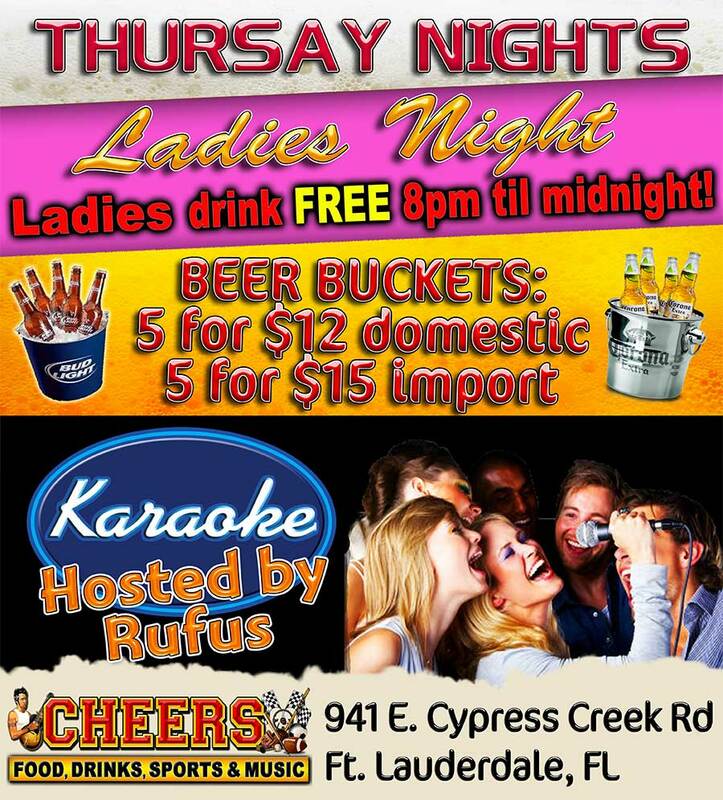 Import Beer Buckets 5 for $15! Let Judy or Andy know if YOU’D like to schedule a Wednesday night spot! 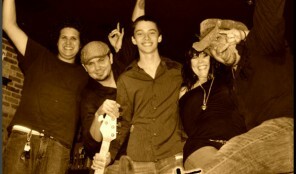 – Come sit in with the guys or bring your own band! Full sound and backline provided. Please bring your own guitars. 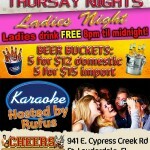 KARAOKE NIGHT is also LADIES NIGHT! 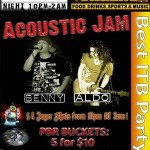 ALDO & BENNY – ACOUSTIC JAM will be performing EVERY SUNDAY! from 10pm-2am. 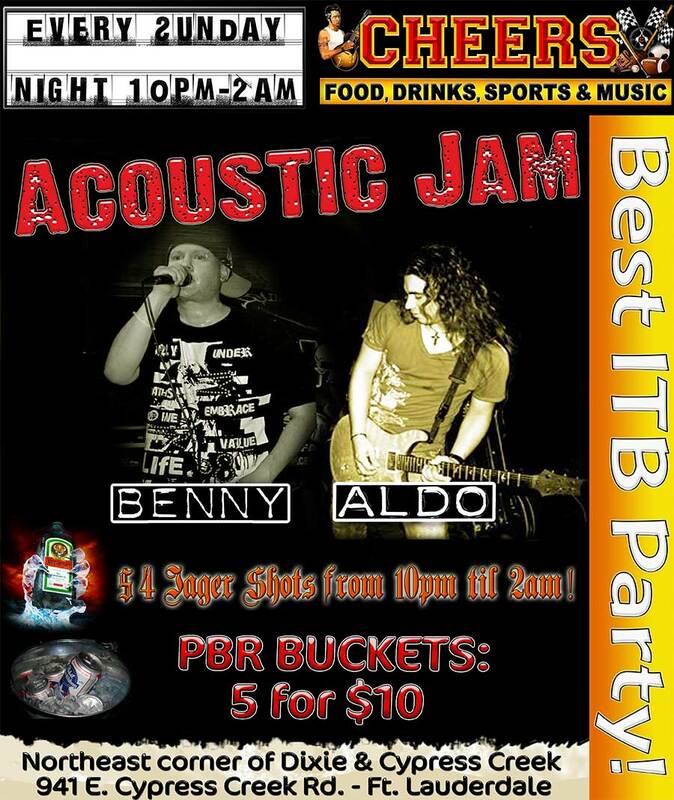 Food & Drink specials 8pm-12am: • $4 Jagers •Beer Bucket specials • ITB 2- 4-1 after Midnight • No cover, free parking, Kitchen open til 4am!